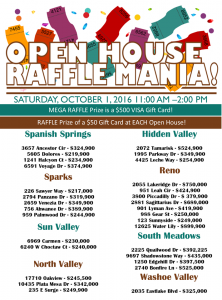 Our brokerage, Re/Max Professionals, is hosting OPEN HOUSE RAFFLE MANIA on Saturday, 10/1/16 from 11am – 2pm! Stop by one of these events for a chance to win a $500 VISA gift card! Each individual open house is also giving out a $50 gift card. Check out more details on the RE/MAX Professionals page! Hope to see you tomorrow and good luck! 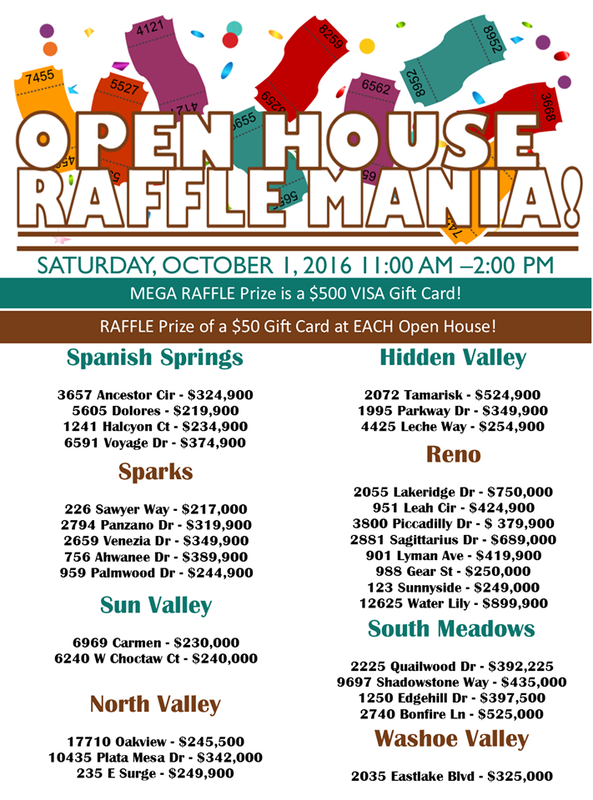 Please call us with any questions at 775-623-7829.